You are here: Home / About Us / What is a Montessori education? The discoveries made by Maria Montessori, MD, can help parents and teachers in many situations. Her advice has always been to: “Follow the Child.” We focus here on information which can be used in school or at home for children from three to six years. Supposing I said there was a planet without schools or teachers, where study was unknown, and yet the inhabitants—doing nothing but living and walking about—came to know all things, to carry in their minds the whole of learning; would you not think I was romancing? Well, just this, which seems so fanciful as to be nothing but the invention of a fertile imagination, is a reality. It is the child’s way of learning. This is the path he follows. He learns everything without knowing he is learning it, and in doing so he passes little by little from the unconscious to the conscious, treading always in the paths of joy and love. The most important consideration in deciding to set up a Montessori class is the teacher. A non-Montessori-trained teacher can no more be expected to teach “Montessori” than a biologist could be expected to teach French. Using the Montessori approach to teach is extremely challenging, but equally exciting and rewarding. 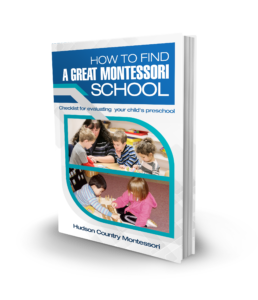 Montessori schools have proven successful all over the world, with all kinds of children (blind, gifted, learning disabled, wealthy, poor, etc.) and in many different environments (from refugee camps and slums to elegant schools in beautiful private homes). There are many kinds of Montessori teacher training experiences, from distance or correspondence courses (useful for parents and teachers who are interested in an introduction to Montessori, but usually not for a teacher in charge of a whole class of children) to graduate school programs. 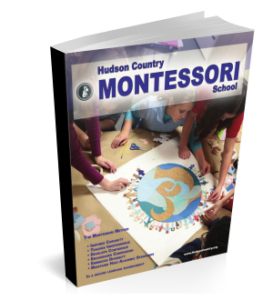 The following specific elements of Montessori philosophy that one might find in a Montessori class are based on the assumption that the teacher has had the most exacting Montessori teacher training course available. Maria Montessori was born in Italy in 1870. In her work at the University of Rome’s psychiatric clinic, Dr. Montessori developed an interest in the treatment of children and for several years wrote and spoke on their behalf. At age twenty-eight, she became the director of a school for mentally-disabled children. After two years under her guidance, these children, who formerly had been considered uneducable, took a school examination along with normal children and passed successfully. Educators called Dr. Montessori a miracle worker. What was her response? If mentally disabled children could be brought to the level of normal children, Dr. Montessori wanted to study the potential of “normal” children. She went back to school to study anthropology and psychology and finally, in 1907, was asked to take charge of fifty children from the dirty, desolate streets of the San Lorenz slum in the city of Rome. Like others I had believed that it was necessary to encourage a child by means of some exterior reward that would flatter his baser sentiments, such as gluttony, vanity, or self-love, in order to foster in him a spirit of work and peace. And I was astonished when I learned that a child who is permitted to educate himself really gives up these lower instincts. I then urged the teachers to cease handing out the ordinary prizes and punishments, which were no longer suited to our children, and to confine themselves to directing them gently in their work. Dr. Montessori was then invited to set up a classroom at the Panama-Pacific International Exposition in San Francisco so that more interested people could observe her methods. A room was built with a glass wall behind which spectators sat and watched the children. Twenty-one children, all completely new to a Montessori environment, attended for four months. The observation seats were filled every day and at noon, when the children served lunch to their classmates and washed up afterwards, there was standing room only in the audience. The two gold medals awarded for education at the Panama-Pacific International Exposition both went to the Montessori class. On behalf of the Montessori Educational Association of America I have the honor to inform you that we have elected you as its first Honorary member and to express to you in this way our deep appreciation of your great work for humanity. Children are grouped in three or six-year spans and have the same teacher for this period. The first group is called the “Nido” and consists of children in necessary daycare for working parents. This is age 0-1, or “until walking”. The second group is known as the “Infant Community” and is from around one year to age 2-3. The third group is the “casa dei bambini” and is from 2.5-6 or 3-6, depending on the training of the teacher. The forth group is from 6-12, a larger age span because the children for this 6 years exhibit the same tendencies and learning habits. The emotional and physical growth is steady and the intellectual work strong. The 6 year old learns from and is inspired by children much older, and the teaching is done by older to younger as well as younger to older. This large age span helps to avoid the tendency of some teachers to over-schedule and over-direct students who need ever more freedom of time-planning and research. Sometimes this age group is divided into 6-9 ad 9-12, but this is a new development and still questioned by many. The next group is the 12-15 which is, at least in the West, a more emotional time with less ability to focus on intellectual work. Dr. Montessori called this time the Erdkinder CHildren, and proposed a farm school with real work close to the earth. The high school years are, as in traditional schools, a time of much more intellectual work, but with a different kind of child who has been through years of critical thinking, caring for the earth and other people, and independent research. Aft every age, a minimum of one 3-hour work period per day, uninterrupted by required attendance at group activities of any kind is required for the Montessori method of education to produce the results for which it is famous. (Stage 3) “knowing”, to possessing an understanding of, demonstrated by the ability to pass a test with confidence, to teach another, or to express with ease. The steps of learning any concept are analyzed by the adult and are systematically offered to the child. A child is always learning something that is indirectly preparing him to learn something else, making education a joyful discovery instead of drudgery. Scientific observations of the child’s development are constantly carried out and recorded by the teacher. These observations are made on the level of concentration of each child, the introduction to and mastery of each piece of material, the social development, physical health, etc. on. The environment is arranged according to subject area, and children are always free to move around the room, and to continue to work on a piece of material with no time limit. There are no text books, and seldom will two or more children be studying the same thing at the same time. Children learn directly from the environment, and from other children—rather than from the teacher. The teacher is trained to teach one child at a time, with a few small groups and almost no lessons given to the whole class. She is facile in the basic lessons of math, language, the arts and sciences, and in guiding a child’s research and exploration, capitalizing on interests and excitement about a subject. Large groups occur only in the beginning of a new class, or in the beginning of the school year, and are phased out as the children gain independence. The child is scientifically observed, observations recorded and studied by the teacher. Children learn from what they are studying individually, but also from the amazing variety of work that is going on around them during the day. The most successful 3-6 or 6-12 classes are of 30-35 children to one teacher, with one non teaching assistant, this number reached gradually over 1-3 years. This provides the most variety of personalities, learning styles, and work being done at one time. This class size is possible because the children learn from each other and stay with the same teacher for three to six years. This size help to create much independent work, and peer teaching, and eliminates the possibility of too much teacher-centered, teacher-directed work. A well-trained Montessori teacher spends a lot of time during training practicing the many basic lessons with materials in all areas. She/he must pass difficult written and oral exams on these lessons in order to be certified. She is trained to recognize a child’s readiness—according to age, ability, and interest—for a specific lesson, and is prepared to guide individual progress. Although the teacher plans lessons for each child for each day, she will bow to the interests of a child following a passion. All subjects are interwoven; history, art, music, math, astronomy, biology, geology, physics, and chemistry are not isolated from each other and a child studies them in any order he chooses, moving through all in a unique way for each child. At any one time in a day all subjects—math, language, science, history, geography, art, music, etc.—are being studied, at all levels. There is at least one 3-hour period of uninterrupted, work time each day, not broken up by required group lessons or lessons by specialists. Adults and children respect concentration and do not interrupt someone who is busy at a task. Groups form spontaneously but not on a predictable schedule. Specialists are available at times but no child is asked to interrupt a self-initiated project to attend these lessons. There are no grades, or other forms of reward or punishment, subtle or overt. Assessment is by portfolio and the teacher’s observation and record keeping. The real test of whether or not the system is working lies in the accomplishment and behavior of the children, their happiness, maturity, kindness, and love of learning, concentration, and work. There are no academic requirements for this age, but children are exposed to amazing amounts of knowledge and often learn to read, write and calculate beyond what is often thought usual for a child of this age. There are no curriculum requirements except those set by the state, or college entrance requirements, for specific grades and these take a minimum amount of time. Students of K-12+ age design 1-2 week contracts with the teacher to balance their work, and learn time management skills. The work of the 6-12 class includes subjects usually not introduced until high school. All intelligences and styles of learning—musical, bodily-kinesthetic, spatial, interpersonal, intrapersonal, intuitive, natural, and the traditional linguistic and logical-mathematical—are nurtured and respected. Opportunities for the valorization of the personality is considered at least as important as academic education. Children are given the opportunity to take care of themselves, each other, and the environment—gardening, cooking, building, moving gracefully, speaking politely, doing social work in the community, etc.